Edgar Pangborn (February 25, 1909 – February 1, 1976) wrote a number of novels and short stories in various genres. 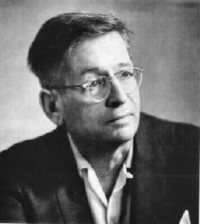 In the early 1950s he published a series of science fiction stories in prominent magazines like Galaxy Science Fiction, The Magazine of Fantasy & Science Fiction. His work helped establish a new “humanist” school of science fiction, and inspired writers such as Peter S. Beagle and Ursula K. Le Guin, the latter who has credited Pangborn and Theodore Sturgeon with convincing her that SF and fantasy can be about human emotional stories. His best-known works are A Mirror For Observers (1954) and Davy (1964). 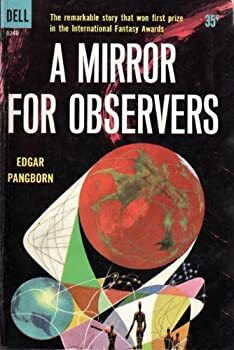 CLICK HERE FOR MORE BOOKS BY EDGAR PANGBORN. It's somewhat surprising that this 1954 International Fantasy Award winner has never found a very large audience in the SF genre. 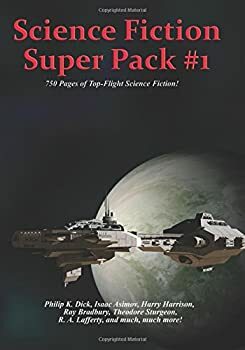 The writing style is reminiscent of Theodore Sturgeon or Ray Bradbury, very much focused on the characters and their inner thoughts and struggles, a big contrast with the more pulpy science and space-adventure tales featured in pulp magazines like Galaxy and Astounding. Davy (1964) is a wonderfully-written coming-of-age story set in a post-apocalyptic Northeastern United States 400 years after a brief nuclear exchange destroyed high-tech civilization, where life has become far more like the frontier days of the early US, with a scattered group of city-states dominated by the Holy Murcan Church. Far from what you might expect, it is a tale filled with humor, pathos, and charm. 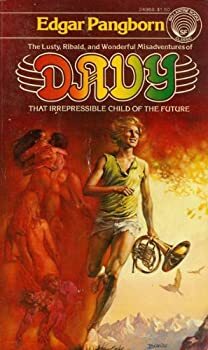 It is the narrative voice of Davy as he grows up from a simple boy to a randy young man that captures the reader from the start. His early days are dominated by wanting to escape from his bondsman life (in between freeman and slave), his desire for the tavern owner's daughter, and his discovery of a golden horn in the possession of an innocent and ignorant mutant.